Just picked up a couple of these from Swift tire. Look a lot like Bruce Gordon's Rock n Roads. Tanwalls at $20 a pop. Haven't ridden them yet, but will toss them on the ParkPre this week and give them a shot. They were out of stock for the longest time and I'd wanted to try them, especially at this el cheapo price. Last edited by gomango; 03-11-18 at 05:44 PM. $20 for a folder sounds like a no-brainer. Let us knpw what you think when you try them on. I have been running mine for over a year. Moved around a couple of different bikes. They hit a real sweet spot price/quality. Looks like I was the last post on the previous thread, and I never reported back! I did finish up that GT, but only got in one ride before someone wanted to buy it from me. It was rad, though! I also put RJJs on a Fuji and again only got one ride in before taking it to a swap and traded it out. Based on those rides, I'd say that I need to keep bikes around longer so I can form a better opinion. But the tires were great both on pavement and in loose mud, as well as roots and rocks. 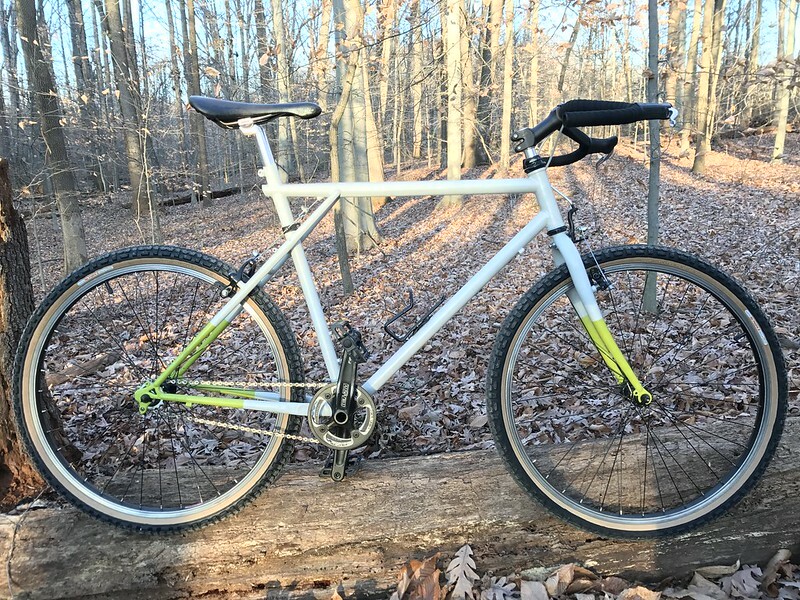 I'm planning on getting another set for ye olde Stumpjumper. Thanks for the replies/feedback and cool bike pics. As I mentioned, I am putting mine on my ParkPre. 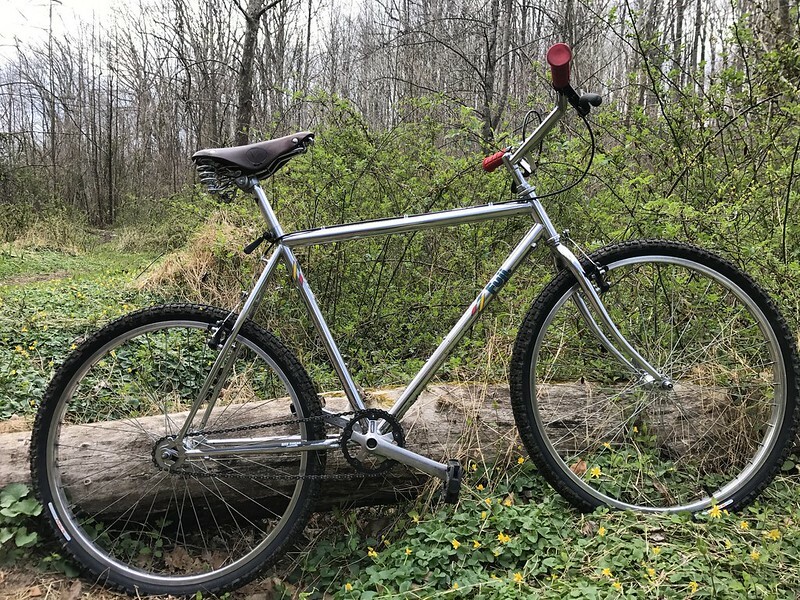 I have a total budget of $128 for this bike, all included. Just found an el cheapo porteur rack through our CL with lowrider racks for the front. I just resprayed them and they look ok. Putting on a new chain as well. The other stuff I'm using was sitting here on the shelf and is interchangeable with my Black Mountain Monstercross. It will make for a fun loaner when family visits. Can't wait to try these tires though. Those tires are a deal. And looking forward to ParkPre coming together. Last edited by Bikerider007; 03-13-18 at 07:04 AM. My bike is strictly entry level, but still fun! It shared framesets with its more expensive cousins and this one rides great. Hopefully the new tires will improve the ride on gravel roads near us. Here's an additional link with more info about the Catalyst.